Today i am going to tell you how to reset your PASSWORD of window 7 . If you forget your Windows password, you can use a password reset disk to create a new one. I recommend that you create a password reset disk when you create your password by using following steps . 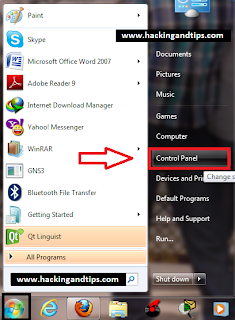 With the help of this you can easily reset your password if it is changed by any one ..
To create a password reset disk for your local user account, use one of the following methods. You just need only removable media (a USB flash drive or floppy disk). 1.Insert your removable media. (a USB flash drive or floppy disk). 2. 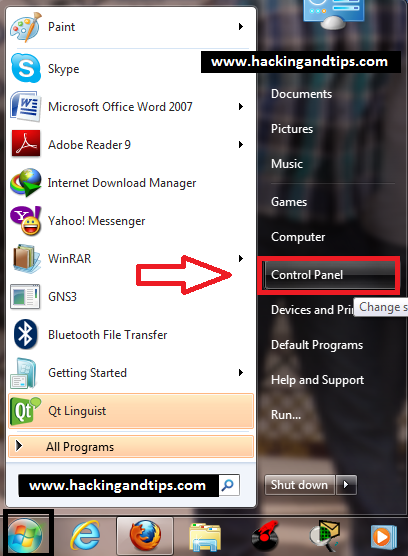 Open User Accounts by clicking the Start button , clicking Control Panel. 3. 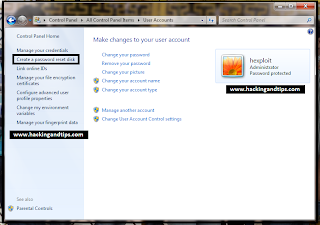 Clicking User Accounts and Family Safety, and then clicking User Accounts. 4. 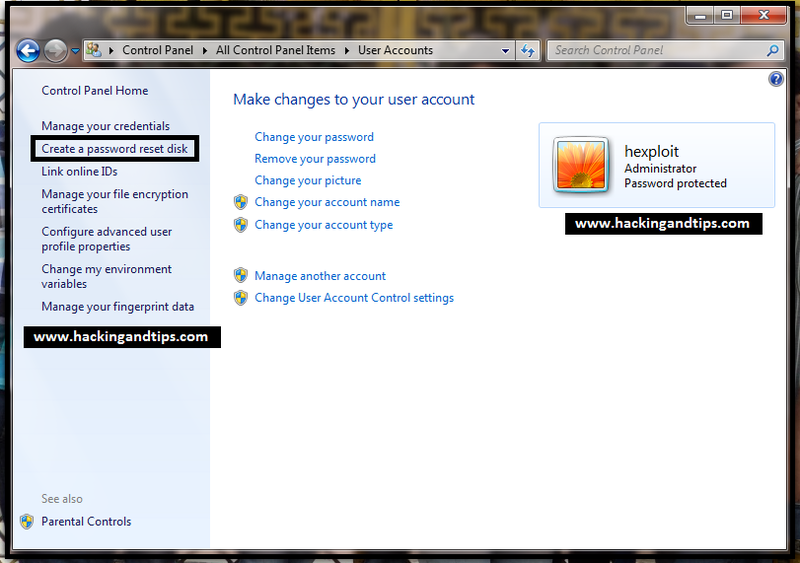 In the left pane, click Create a password reset disk, and then follow the instructions. Make sure you store the password reset disk in a safe place.